Create bold marks with a convenient click using Expo Click Dry Erase Markers. 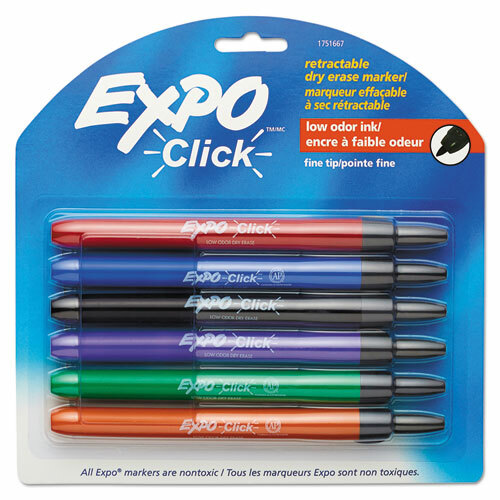 These retractable dry erase markers feature brilliant low-odor ink that makes intense marks on most nonporous surfaces including whiteboards and glass. The innovative Safety Seal valve prevents the whiteboard markers from drying out and the retractable design eliminates lost caps. The ink also resists smearing, making it perfect for classrooms, offices and homes.